Working hard without any expectations always yields very good results. Here's what makes this young guy say this statement. I never expected or thought that I will be able to go to The United Nation's Head Quarters representing my country and World Merit at an International platform. 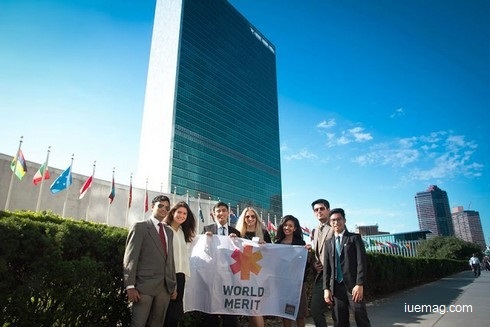 With over 100,000 Community members, only 10 were recognized to represent World Merit. 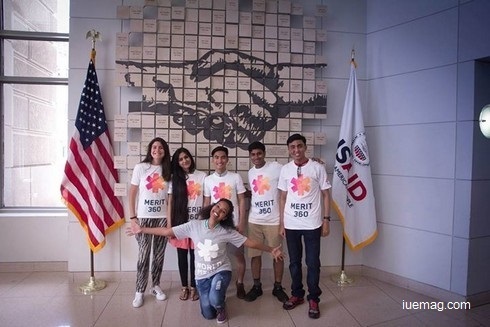 These 10 young leaders from different countries and diverse backgrounds came all the way to Unites States of America to discuss the Strategy for World Merit and the Sustainable strategies and goals with the HQ. First Timer: This was my first experience in an aircraft, that too for an international journey. So, each and every second was filled with joyful learnings. Everything seemed to be new and funny to me - starting from getting a boarding pass to boarding an aircraft. Throughout the entire journey of 22 hours, I was only thinking about the lessons learnt during my entrepreneurial journey with i3 & World Merit. With these things in my mind I reached Dallas, USA, where I met Zakir and Aqib Malik from Pakistan. The very first day, we explored US without a proper address. YES! We wandered a lot trying to find Hostelling International of Washington DC. 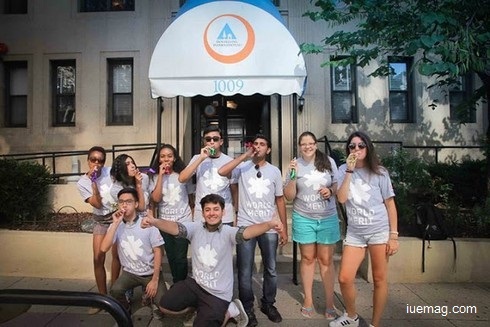 Hello HI - Washington DC #HIUSA: Hostelling International (HI) is a non-profit membership organisation, with a proud history and a relevant philosophy. It's one of the best places to live in. Shared rooms with common kitchen and dining hall allows making new friends from different part of the world. The Team Building Starts from here. Whatever we did, we did it as a team. Understanding the team dynamics and working for a common goal was amazing. 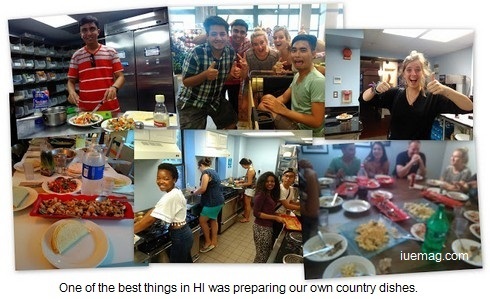 One of the best things in HI was preparing our own country dishes. Travelling gives us lot of knowledge: The Washington Monument, Lincoln Memorial, The Capitol and a lot more of these places are etched in our mind. These places were not just for sight seeing. We had lot more to take from their architecture, history and the people behind them. We had loads of fun and learnt many things about the place and culture. The tourism really helped us build a team. Special thanks to Wild Thang for the World merit Shirts which made us look awesome while in the US. Our first official meeting happened at New Organizing Institute (NOI) where we happened to discuss the strategies and future plans for World Merit. Everyone had different perspectives and vision for the future of World Merit. It really feels good working towards creating waves of changes in the world. Change makers Collaboration at Ashoka: Ashoka is an international network that is driving the social sector and offering a platform for people dedicated to changing the world. 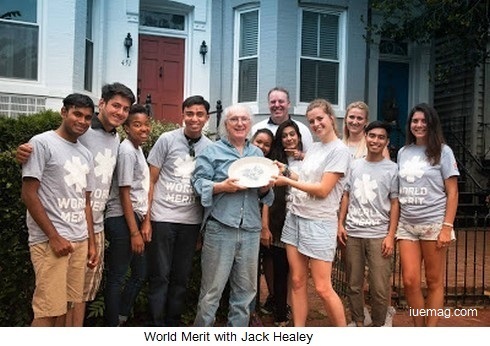 It's World Merit’s newest partner organization. They believe that everyone is a change maker, they think empathy, leadership, teamwork, and change making are the four most important skills we must learn and possess. These things were stressed out by Ashoka’s Global Director for Youth Venture Nancy Welsh. Her passion and dedication transpired in what she does. The Upcoming platform of world merit - Merit 360 and its strategy were discussed in one of the conference halls of Ashoka. Time to Expand and meet like minded people: We also had been to United States Agency for International Development (USAID) and Young African Leaders Initiative (YALI) who work with young people towards empowerment and sustainable development. A Day With Mr. Human Rights: Jack Healey, former executive director of Amnesty International and "Mr Human Rights" has been such an inspiration for people and youth around the world. His journey with Human Rights Action Center was inspiring. He shared his entire story with us when we had been to his home in Washington DC. Here is an Article of Jack Healey published in an International Inspirational eMagazine - IUeMagazine We were fortunate to meet such an inspiring person who strived for Human Rights using Music as a medium. 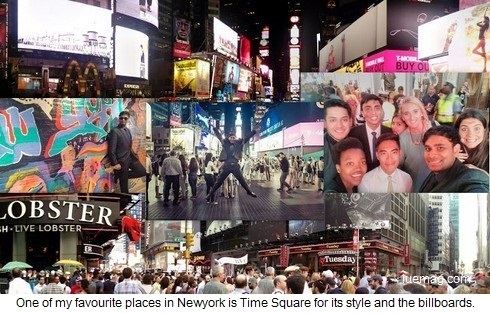 I ❤ NYC: Newyork, The Home to the Empire State Building, Times Square, Brooklyn Bridge, Statue of Liberty and other iconic sites, The City is a fast-paced, globally influential centre of art, culture, fashion and finance. The city’s 5 boroughs sit where the Hudson River meets the Atlantic Ocean, with the island borough of Manhattan at the “Big Apple's" core. The Nexus Global Youth Summit 2015: Nexus is a global movement of 2000+ young investors, social entrepreneurs and allies who work to increase and improve philanthropy and social impact investing. The network collaborates to advance the potential of next generation leadership across nations and sectors as well as to bridge communities of wealth and social entrepreneurship for dialogue, education and collaborative problem solving. The membership includes people from more than 70 countries and hundreds of the world’s most influential families. 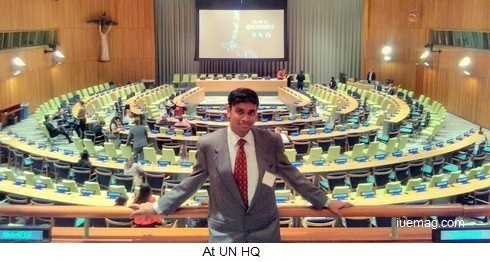 Nexus Global Youth Summit 2015 was organized in United Nation's Head Quarters where International relations and bilateral agreements are made and strengthened in this momentous place. Heads of states and leaders gather in this venue to discuss foreign affairs towards peace and security, unity, and sustainability. The Conference instilled plethora of inspiration and knowledge. I met Students, Billionaires, Engineers, Philanthropist, Entrepreneurs, Activists, Investors, Social Entrepreneurs, Volunteers and many other professionals. I literally felt it's 'Unity in Diversity'. It doesn't matter where you come from and what your background is. If you think you can make a difference, you will make it! Raj Sisodia, Co-Founder of RajsisodiaCC says"Business is not about selfishness, greed or exploitation. It is novel because it can elevate our existence". Many of the speakers shared about their experience in their life in achieving what they have achieved now. This helped us become aware of the consequences that might come up in our journey - Especially in my field of "Entrepreneurship". I was inspired when I met this 17 year old social entrepreneur of Texas - Sanah Jivani (Read about her). At a very tender age she stands for being natural and finally became the founder of International Natural Day. Being a founder of Love Your Natural Self Foundation, she has impacted people in 28 countries. Networking was another added advantage of Nexus Summit where we could meet 200+ young change makers from different parts of the world. The Affinity Dinners and Boat Party played major role in connecting people. 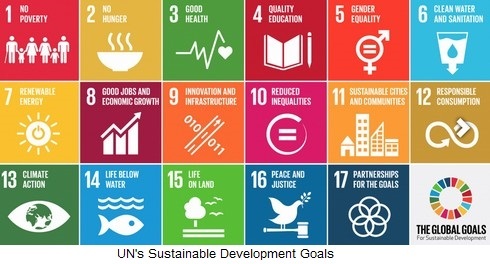 The most significant part of the summit is engaging everyone to take part in the attainment of the UN’s Sustainable Development Goals. World Merit will be at the forefront in making sure that young people are aware, involved, and connected with these. "Problems are everywhere - be it corruption, Sexual assault, trafficking, Climate changes, Education, Poverty, Technology, etc. It's a Global Humanitarian Challenge. The only solution is - Social Entrepreneurship and the Change makers"
Phillip Willard Medalla - Phillipines. Tebogo Mokewena - South Africa. Megan Louise Preston - United Kingdom. I Thank Chris Arnold sir for giving me this wonderful opportunity and Sujit lalwani sir for everything. Now its Time to Implement and replicate my learnings!